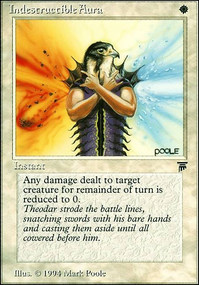 I used to run 4x Atarka's Command back in the day but I want to keep the deck predominately RW. 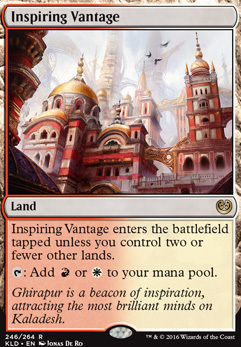 Adding Stomping Ground deals more damage than an Inspiring Vantage and it may not be well for after sideboard when I need Kor Firewalker . Thank you for the suggestion, I may try running 2 in place of Skullcrack and let you know. Atarka's Command with Monastery Swiftspear was always fun when I used to do that in Standard back in the day. Besides Ugin, the Spirit Dragon that I already owned (from a time when it was much cheaper) I didn't have to spend too much on the deck besides the 2x Wurmcoil Engine s, the tron lands, and Academy Ruins . Go to my profile to see the decklist. 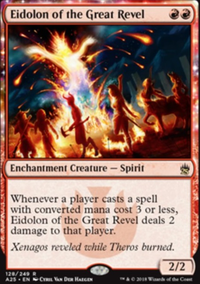 If that's still not your kind of deck that you had in mind, then what about burn? You could build this fairly cheap. 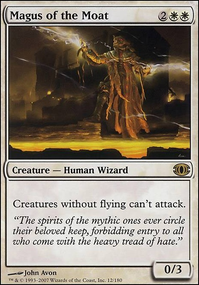 With a mana base consisting of Clifftop Retreat s, Inspiring Vantage , fetches like Bloodstained Mire , Wooded Foothills , Sacred Foundry and some Mountain s. Skewer the Critics is a new burn spell you can play in it too that you should be able to acquire easily.